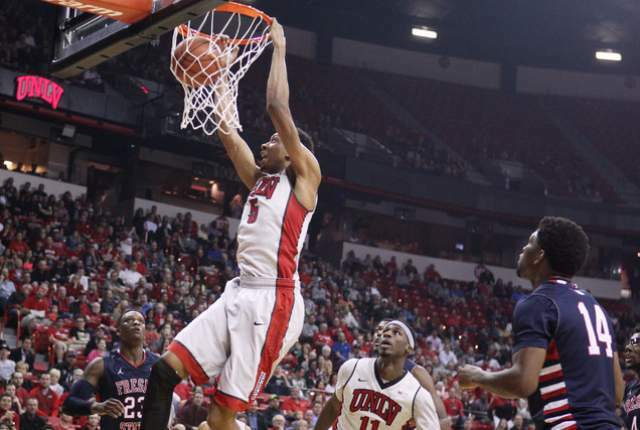 Christian Wood – UNLV. The Runnin’ Rebels went 1-1 last week and might not finish above .500 in Mountain West play this season, but none of that is the fault of Christian Wood, who has been nothing short of dominant. On Tuesday, the 6’11’’ big man manhandled Fresno State to the tune of 27 points, a career-high 19 rebounds – including nine offensive – and seven blocks in UNLV’s 12-point home victory over the Bulldogs. Wood also attempted 17 free throws, which (along with marking another career-high) forced almost every Fresno State big man into foul trouble. Unfortunately for Dave Rice and his mercurial bunch, the win came with a price: Freshman Rashad Vaughn, the team’s leading scorer (17.8 PPG), tore his meniscus. That left Wood as the primary offensive option on Saturday at Air Force, a role he seemed more than comfortable with; the second-year forward poured in a career-high 31 points, ripped down nine boards, hit all eight of his free throws and blocked five shots. In the end, though, it wasn’t enough – UNLV came up short, 76-75 – but it’s doubtful the Rebels would have made it that close were it not for Wood’s performance. As a result, the sophomore earns Player of the Week honors for the second time this season. Honorable Mentions: Denzel Livingston – Incarnate Word (32 points, six rebounds, seven steals vs. Nicholls State… 31 points, six assists at Central Arkansas); Jordan Price – La Salle (34 points, 18 rebounds at VCU… 22 points vs. Davidson); John Brown – High Point (34 points vs. Winthrop… 21 points at Campbell); Jamail Jones – Florida Gulf Coast (25 points at Northern Kentucky… 24 points at Lipscomb… combined 17-of-20 FG); Kahlil Felder – Oakland (14 points, nine assists, six rebounds at UW Milwaukee… 29 points, eight assists vs. Detroit). Bob Williams – UC Santa Barbara. UC Davis’ Jim Les earned the award last week for his excellent work without Corey Hawkins, so it’s only natural that Williams – who has been without star Alan Williams since January 17 – also garners some praise. Despite missing their leading scorer, rebounder and shot-blocker (the big man hurt his shoulder last month), the Gauchos have ripped off three straight victories, including a 15-point drubbing of title contender Long Beach State on Thursday and a win at Cal State Northridge over the weekend. In fact, UC Santa Barbara is now 5-2 without the reigning Big West Player of the Year, and 5-0 in games where its lineup is otherwise healthy (point guard Zalmico Harmon sat out losses at UC Davis and UC Irvine with the flu). Guys like Michael Bryson (23.5 PPG last week) and freshman guard Gabe Vincent have stepped up in lieu of the 6’8’’ Williams, cobbling together several outstanding shooting performances and playing solid defense. 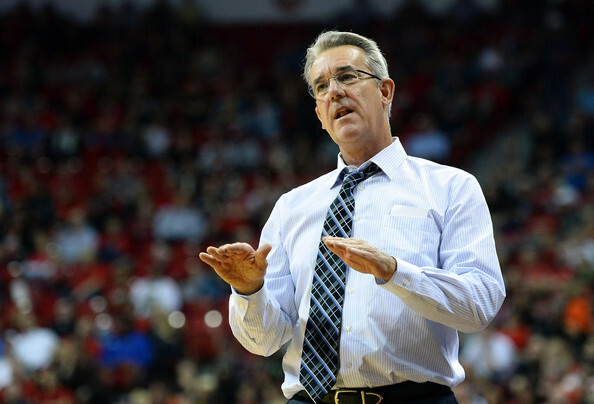 Bob Williams, the 17th-year head man, deserves a lot of credit for retooling his team’s approach and keeping the Gauchos – now just a half-game out of third-place – alive and well in the Big West. Honorable Mentions: Tim Cluess – Iona; Mike Rhoades – Rice; Will Wade – Chattanooga; Dave Paulsen – Bucknell; Archie Miller – Dayton; James Green – Jacksonville State. 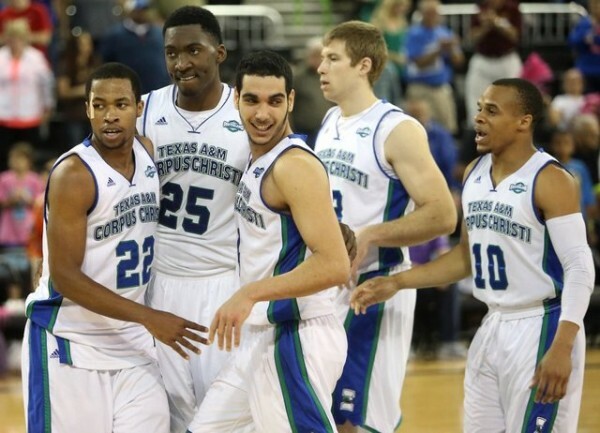 Texas A&M-Corpus Christi over Stephen F. Austin, 71-63. Stephen F. Austin had not lost a regular season Southland contest since February 16, 2013 (almost two years to the day) before Texas A&M-Corpus Christi upended the Lumberjacks on Saturday. And early on, it appeared unlikely to happen. The reigning conference champs jumped out to a 20-13 lead in the game’s first 11 minutes, forcing Islanders’ leading scorer John Jordan into foul trouble and appearing well on its way to a 20th straight win. Then, slowly, momentum shifted. Corpus Christi closed the half on a methodical 22-5 run, using tough defense and attacking the basket to open up a 10-point lead at the break. Stephen F. Austin responded with an 8-0 run of its own to begin the final 20 minutes, but the Islanders counterpunched, ripping off nine straight points and never looking back. The end result? A thorough victory over a program that’s averaged fewer than three regular season losses a year since 2013. For the Lumberjacks, the defeat snapped their 28-game conference winning streak and 19-game overall run. You should not lose faith in Brad Underwood’s veteran group based on one loss, of course, but keep an eye on whether this stumble has any lasting effects on Stephen F. Austin’s pursuit for a second-straight NCAA Tournament appearance. Honorable Mentions: Jacksonville over USC Upstate, 89-70; Delaware over Williams & Mary, 73-70; Presbyterian over UNC Asheville, 69-65; La Salle over VCU, 74-69; Portland State over Eastern Washington, 68-66. Antonius Cleveland – Southeast Missouri State. Before Cleveland fouled T.J. Sapp on a three-pointer at the end of regulation – sending the game into overtime and enabling Murray State to avoid an upset – the freshman delivered one of the best posterizations you will see all year. Monstrous. 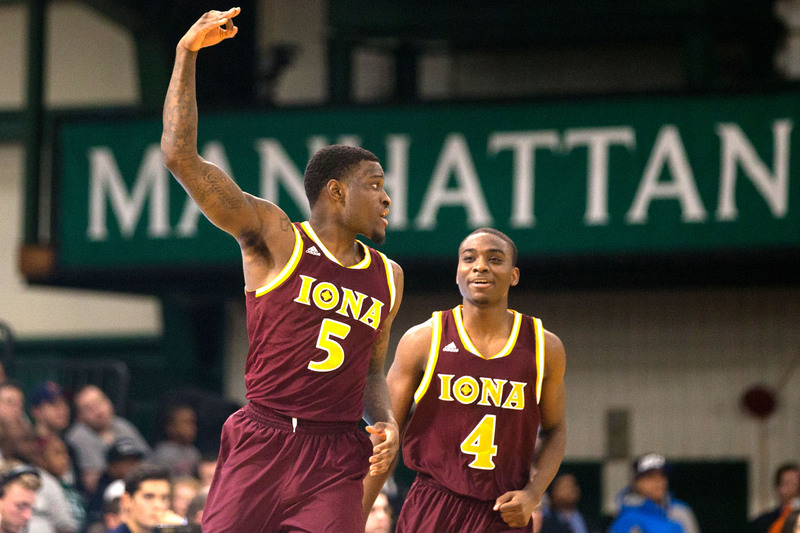 Honorable Mentions: Tim Coleman – NJIT; Javan Wells – Winston-Salem State. Brett Olson – Denver. Down three with less than three seconds remaining, Olson put up this half-court shot (and hit it) like it’s a 15-footer from the elbow. Casual. This entry was posted on Tuesday, February 17th, 2015 at 11:01 am by Tommy Lemoine	and is filed under microsites, other 26. Tagged: A.J. English, air force, alan williams, big west, bob williams, Christian Wood, denver, feature, fresno state, iona, long beach state, maac, manhattan, mountain west, ovc, quinnipiac, rashad vaughn, southeast missouri state, southland, stephen f austin, steve masiello, summit league, texas a&m-corpus christi, Tim Cluess, uc-santa barbara, unlv. You can follow any responses to this entry through the RSS 2.0 feed. You can leave a response, or trackback from your own site.